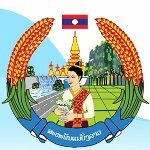 Lao Women Union’s Day is an important public holiday in Laos celebrated on July 20. It honors the organization that fights for women’s rights and against gender discrimination. Although the Constitution of Laos states that Lao women are legally equal to Lao man (which includes the right to vote and to inherit property), women in Lao society frequently dace discrimination. The status and role of Lao women often depend on the ethnic group they belong to. Lao women are less literate and educated than men on average (only 63% of Lao women and 83% of men can read and write). They typically have lower salaries than men, and have lower chances to get a high-level position. Despite this, women are the primary breadwinners in many Lao families, especially in rural areas. Divorced women are traditionally stigmatized in Lao society, and they often find it difficult to find another spouse. Prostitution and human trafficking are serious issues for women in Laos, as with many poor states of the Southeast Asian region. Lao Women Union was founded in 1955. Its original goal was to encourage women to join the Lao People’s Revolutionary Party. Following the adoption of a new constitution in 1991, the new functions of the Union were officially reinforced. The organization is meant to improve the status and role of women in Lao society, to unite women from different ethnic groups and to empower women in achieving financial stability and independence.